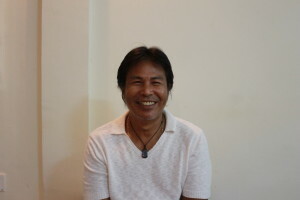 Soth Plai Ngarm is a Cambodian peace activist and researcher with long standing expertise in post-conflict issues, nationalism and ethnic identity. Ngarm is one of the founding members of The Alliance for Conflict Transformation (ACT), a Cambodian NGO working towards combating violence and addressing the root causes of conflict. In addition, he is the Cambodian National Coordinator of the South East Asian Conflict Studies Network (SEACSN), a member and director of the Applied Conflict Transformation Studies MA program and is currently the CPCS consultant on peace processes and research. Ngarm holds a Master’s degree in Peace Studies from the University of Bradford, UK, and is a co-author of the manual Peace Research Methodology.